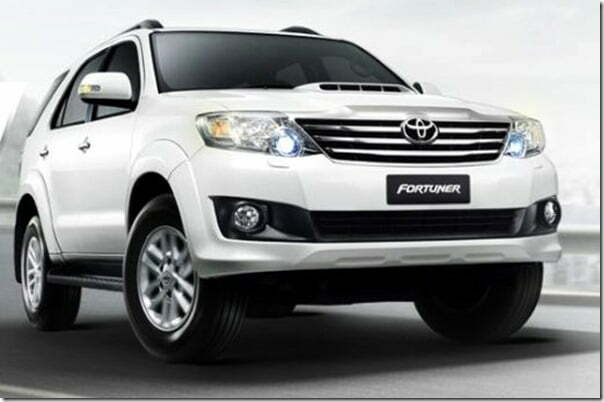 Toyota India has indicated in an official statement that it is going to increase the car prices in the month of January 2012. There is no details revealed on how much the prices will increase on per-model basis, but there is sufficient indication on the range of price increase which will be between 1 % to 3 % of the price of the cars depending on which model it is. The hike in the petrol cars is expected to be milder than that for the diesel cars and the top selling popular models. As it is more of customary to see such price increases or Year End Discounts on the cars to boost the sales in the month of December every year, good selling cars usually go pricier in January with official statements released in early December and the not-so-good selling cars come with huge discounts or offers. The price increase on the popular models like the Toyota Fortuner, Toyota Innova, Toyota Etios Diesel and Toyota Etios Liva Diesel is expected to be higher in terms of percentage change compared to the petrol cars which are already clocking lower sales number. The reason behind the price rise is cited to be badly depreciating rupee which has been pushing the input costs high for the car maker.